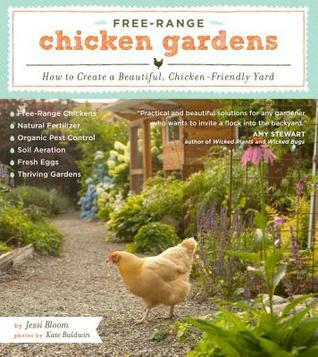 It would seem that chickens and gardens should go hand-in-hand (or leaf-in-wing?) but of course you do not want your flock to eat every piece of bounty that will come through the seasons. In Free-Range Chicken Gardens, Jessi Bloom addresses how to create a space where both your flock and your vegetables can co-exist peacefully and beautifully. Free-Range Chicken Gardens is, at its essence, a how-to book both for managing a small flock of chickens in your backyard and make your backyard gardens chicken-friendly. Free-ranging provides a healthy diet for chickens, but there are a lot more plants than I realized that are poisonous or otherwise detrimental to chickens. Bloom gives coherent lists on both those and the best kids of plants to have with your birds. Chapters such as "landscape materials for chicken gardens" and "plants with purpose" will give a broad overview for any gardener ideas for their garden beds. Integrating your chickens into the backyard garden takes more than just plants, and her chapter on "innovative chicken housing" not only gives the basics, but does extra duty on how to install a greenhouse chicken coop and other garden-friendly ideas. Beautiful full-color photos of Bloom's backyard space, along with several others, gives support and inspiration to readers. 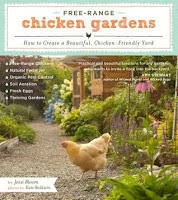 Jessi Bloom is an experienced landscape designer and chicken owner, and her knowledge comes across in a accessible and easy way in this book. While free-ranging chickens may not be practical (or in some cases legal) for many backyard gardeners, Free-Range Chicken Gardens provides a comprehensive overview and I believe will be a great addition to any urban homesteader or gardener's shelves.